KÄRCHER MARINE will provide you the exact cleaning total solution to your vessels pressing needs, to any port-of-call, 24-7, with a minimum cycle time between RFQ and final on-board delivery. Our products mix deliver among others: cargo hold cleaning, steel plate surface preparation, paint removal, rust removal and deck cleaning. We offer a wide range of fixed or portable washing systems and cleaning agents, that belong to the premium and leading products of the KÄRCHER family. 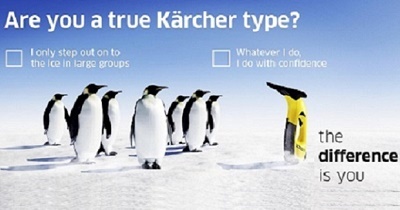 Our products are easy to use from the ship's crew, they have a proven performance, and demonstrate the undisputed superior quality and durability of the KÄRCHER brand. Our after sales services ensure the continuous cleaning operations on-board the vessel. In case of equipment down-time, remote troubleshooting and detailed repair instructions to the vessel’s crew, is offered. Additionally, annual service packages are available, which include the option to receive replacement cleaning equipment plus consumables. Our Kärcher Marine experts, and their unique knowledge of the marine industry eco-system, vessel cleaning needs and logistics, make all the difference. Their combined KNOW-HOW, provide to our customers (ship owning companies, management companies, charterers and shipyards), what they need, fast, reliably, on-board and at best cost. KÄRCHER MARINE experts are directly linked to your vessels management company and have knowledge of your vessels complete history. "Our ultimate goal is to eliminate the risk of vessel off-hire due to non-compliance with cleanness regulations and requirements of International Marine Organization (IMO), Port Authorities, Charterers and Cargo owners." 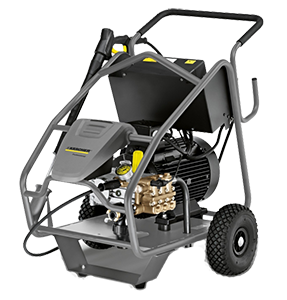 HD 18/50-4 Cage is a very durable, marine type Hydro blasting machine, with a high-performance crank-shaft pump, ceramic pistons and heavy duty high pressure hose of 640bars working pressure and 2,480 bars burst pressure. Kärcher Marine will be delighted to welcome you to its stand, No. 321 in Hall 2. Since 2012, Kärcher Marine participates in one of the most famous International Shipping Exhibition, proving its dedication and focus to the needs of Greek Shipping Companies-Ship Owners and Management Companies. New Kärcher Marine official WebSite is launched. All proposed marine type Kärcher Products can be found, along with their photos, videos, specifications and a wide range of very helpful downloads, such as Service manuals, Operation manuals, Safety instructions, Declaratrion of conformity etc. Kärcher Marine will be delighted to welcome you to its stand, No. 426 in Hall 3. Since 2012, Kärcher Marine participates in one of the most famous International Shipping Exhibition, proving its dedication and focus to the needs of Greek Shipping Companies-Ship Owners and Management Companies. Taking into account Kärcher Maintain and the special needs of Marine Industry, Kärcher Marine service packages are formed, tailored and fully focused on the specific requirements of Ship-owners, Operators and Management companies. The range of services includes inspection, timely maintenance and flat rate full service. In addition to service packages, there are supplementary services such as accessories and consumables. Karcher Marine is delighted to announce IMPA Membership. We assure all our customers and partners our fully compliance with IMPA's Code of Practice and Values.